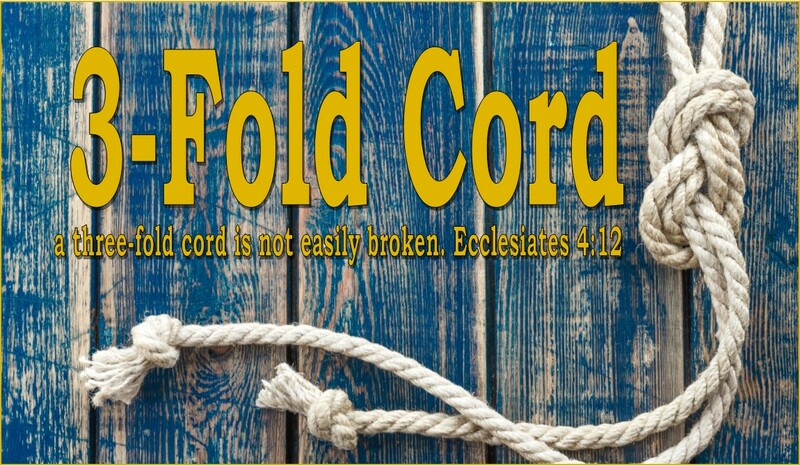 3-Fold Cord: Mental Illness or Modern Idolatry? Mental Illness or Modern Idolatry? I have created my own prison. Whether it’s A&E, TLC, or the Discovery channel, you have probably watched at least one of the following reality train wrecks. These shows give TV viewers an up close and personal look at the lowest common denominator of the human experience. Perhaps I haven't taken out the trash in a couple weeks? 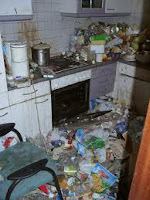 In the show Hoarders you might get to see some perfectly able bodied man living in a prison of is own filth and excrement; or some lady that cannot seem to part with even one of her thousands of McDonald s cups because she has some delusional idea that she will eventually fashion these cups into make-shift shelters for the homeless. I can't help it...It taste like chicken to me! So my question to our savvy readers is this: Do you feel that these OCD behaviors are legitimate mental health disorders, or are could they possibly just be a modern form of idolatry, and misplaced dependency? Now of course all of these cases are not black and white, but we would love to hear all of your ideas, and or experiences about this topic! Anyhow, do I think OCD is a legitimate disorder? In certain situations, yes. My mother has struggled with OCD my entire childhood. She has anxiety issues and to cope with anxiety she has to repetively check things. She checks the locks on the doors at least three times before going to bed. She also pulls her hair out when she's stressed (I believe this is called Trichotillomania), which I believe is sort of related to OCD. 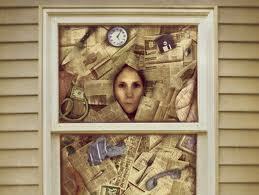 Shows like My Strange Addiction and Hoarders are meant to shock and entertain us. I think the people on these shows just want attention and are lazy/unmotivated/don't care. I think the bottom line is, it's all about mind over matter. The people who help the people on the shows are basically just telling them what they already know. I'm not really sure. Do people do these things to get on these shows? I think some do. I haven't seen the last two you mentioned but I have watched hoarders and I really do believe those folks have something missing mentally. I feel sorry for them. Most of us have a trigger that tells us when logically we need to stop collecting or need to clean up. Where is theirs? I often wonder if it isn't a spiritual oppression. We're so quick to medicate and not look further into the spiritual aspect of it. When they clean up the mess for these hoarders, it's not enough. They need more help than that and they just return to what they've always done. HOW their homes get so bad w/o family stepping in, I don't know. I would have my mother committed if she was exhibiting such behaviors because I care about her. They aren't living in safe conditions! How does the man who eats glass survive? Doesn't that destroy his intestines and throat, among other things? I think those are just attention seeking behaviors, if they are even real. I've always had a sneaking sympathy for Thomas Szasz who challenged the whole "Mental Illness" label. If these people are content with their lifestyle and not hurting anyone, leave them alone. If they're in agony and crying out for help, then that's the time to intervene and offer assistance. Perhaps we need to be a little less rigid and more sympathetic in our concept of what constitutes a "normal" human being.. I have a question for everyone. Do you think that these so-called disorders exist in third world countries? In countries where the average person might make $200 a year do you think there are hoarders? Or people who eat nonfood items? What about OCD? How about the fact that mental disorders have increased with modernity, technology and convenience, has the modern world created these illnesses or have we gotten better at diagnosing them? Or do we simply label everything an illness? Ok that was more than one question. Oops. This is kind of tough to answer, because I believe there are some cases that are just attention seeking and so end up blanketing these types of disorders and illnesses with suspicion and scepticism. For people who do not suffer from these issues (anxiety, depression, OCD) it seems so far fetched, how could this really be real, but for those suffering there is nothing more real than the anxiety they feel, the depression that swallows up their days, and the other things - no matter how small - that seem to rule their lives. @ Scott---> I agree. My "Idols" angle is that anything we put in place of God, is an idol, which will ultimately lead to madness and destruction. Idol's don't always have to be "things" they can be people too. Thanks for your comment and your insight! Blessings brother! 23and exchanged the glory of the incorruptible God for an image in the form of corruptible man and of birds and four-footed animals and crawling creatures. 24Therefore God gave them over in the lusts of their hearts to impurity, so that their bodies would be dishonored among them. I believe that it is a mental illness. As someone who struggles with bipolar disorder, I find it offensive and dangerous when well meaning people tell me to pray it away. Nothing can make you feel more alone when you are down, depressed, even suicidal and begging God to relieve some of that depression and it not go away because it is a CHEMICAL IMBALANCE can make the afflicted feel even more alone. I do believe there is a spiritual component to emotional stability and behavior. However, chalking it up to demons or idolatry is really blaming the victim. A mentally ill person is not sinful, they are sick. They need Jesus and a mental health professional. Please know that I do enjoy your blog even though I do not always agree. I read it almost every day. You really make me think. Thank you even though I have to respectfully disagree. God Bless. Hi Charlotte, I just want to point out that Mark was speaking about the disorders featured on these TV shows, Hoarders, Strange Addictions, etc. Most who have commented (and I would agree) have stated that there are real mental illnesses that need real treatment but that some of these that keep popping up on TV shows- like collecting so many dolls your husband has to sleep in the car cause his bed is buried- is a bit of idolatry because these people are putting objects above anything else in their lives. Are there some hoarders that are mentally ill? Yes, there are some that I think truly are, but I also think some prize material items over even relationships with their spouse or kids and have learned helplessness so they are just waiting for someone else to clean up their mess. What really irritates me about these shows is that when the therapists "treat" hoarding they are so careful not to upset the hoarders that they actually justify their behavior and never confront the real issues. If you have ever seen some of the more modern treatment for severe OCD the patients are forced into situations that make them uncomfortable, and their therapists don't tip toe around their issues. Now these people are trained and they gradually work up to the biggest fears of the OCD patients, but it causes a reaction and many times works to "cure" them of their disease. So I agree there are real mental illnesses that need real treatment and that is wrong to tell these people they suffer because of their own sin and they should pray it away. I do believe that sin is where these illnesses originate though, if Adam and Eve had never sinned we wouldn’t have mental illnesses, or cancer, or headaches, but with the fall sin and disease entered the world. I also believe in the Lord’s ability to miraculously heal any illness, even a chemical imbalance, and that prayer is powerful. But it is irresponsible to tell some one to stop taking their meds and start praying, there is more to it than that-probably another blog post. I will say that I think many mental illnesses are over diagnosed and over medicated and more are created each year to justify the bad behavior of humans. In the society we live in today I don’t think we can lump all mental illnesses together as valid or as invalid, it’s too complicated a subject, probably because people are complicated and complex. As always thank you for your comment, Charlotte. We enjoy your comments and we enjoy your blog as well. @Luther---> I agree! When you put anything before God in your life things will always in up in a bad place. Having worked in the Mental Health/Behavioral Profession, as a counselor, for the last 14 years, I have seen some pretty grave cases of Mental illness and Severe decomposition. Many of the OCD cases are brought on by learned behavior and other environmental factors, as opposed to genetic predisposition. This particular blog was written more as a question, than a statement to allow for differing points of view. Thank you so much for sharing yours!! In a sense I just wrote about this on Monday! "Undercover Outcast" is about whether or not people are born a certain way. I think some people have a mental disorder. I think some people, like you said, have succumbed to a form of idolatry. I also think that maybe there is something that many today fail to consider (and maybe I am opening a can of worms! ): Could it be demonic leadings/possession? HA! I've never heard of any of those shows. Then again I don't watch TV. Anyway I am not qualified to make any diagnosis - in fact to do so would violate the ethics of my counseling license - so instead I'd suggest they've merely taken certain aspects of our culture (and maybe it's subsequent counter culture) to their extremes. Not to mention any greater issues going on, certainly social issues come to mind, could greatly influence the decisions they make (especially to take these quirks on television). Or that just might be that they money they are being offered is in fact green.